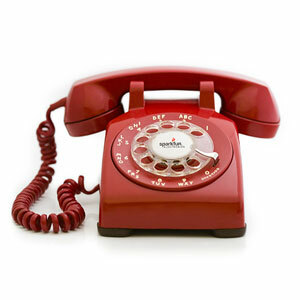 The Sparkfun Portable Rotary Phone certainly tickles our inner geek. I say ‘inner’ geek but working for a robotics company speaks otherwise. Regardless, this phone is awesome. So awesome in fact that it made PC Magazine’s Top 10 Greatest Hacks of All Time. Imagine substituting your regular cellphone with this one for a week: walking down the street talking on it or having it sit at your table while you’re out to dinner. Hilarity would surely ensue. It could only be made cooler if the rotary dial were replaced by a simple red light and Adam West answered it when you picked it up.